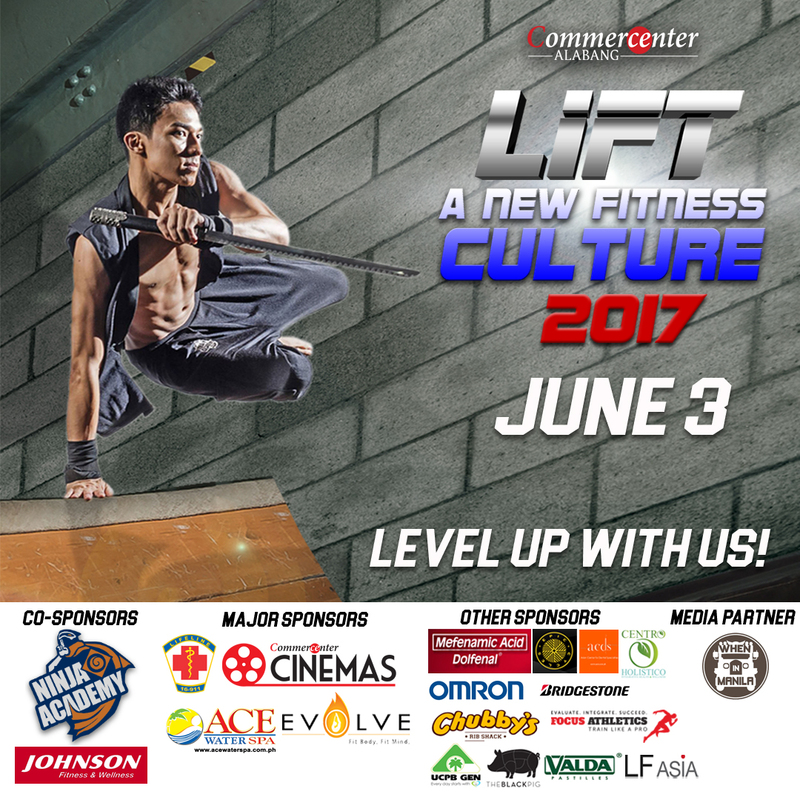 Commercenter Mall, in cooperation with Ninja Academy Philippines, presents LIFT 2017, a fitness competition to challenge one's endurance and strength. This is the local version of Ninja Warrior with parkour. Do you think what it takes to be the first LIFT Champion? All finishers will receive a medal. The Top 10 winners will be awarded. 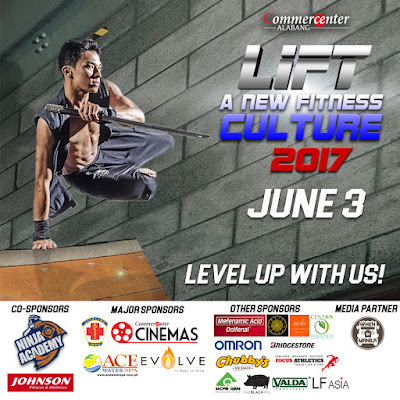 For all participants, there is a registration fee on Php 300 on-site. All participants will receive a lootbag with Lift T-Shirt/ 2 cinema tickets/ Water and product give away. The first 20 registrants will receive a GC from the sponsors. 1. Players are given a maximum of 5 minutes to complete the course. 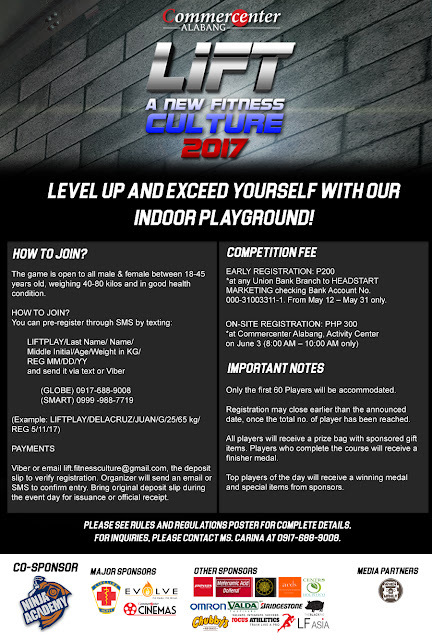 If the player loses his/her grip on the obstacle course and fall on the ground during play, he/she will already be eliminated from the game. 2. Players will be given three (3) chances to climb the 8 ft slope; failure to succeed will be an automatic elimination from the game. All players will be timed during the game play. 3. 10 top scorers will be selected to compete in the final round. Who would be competing? All 10 players who show agility, strength and shortest total time to finish the obstacle course. From these players, the top LIFT Winner will be declared. This is a Level up version of an indoor park-our event, first to have this kind of event is our Co-Sponsor Ninja Academy headed by Chief Ninja Raven. Please read the full mechanics below. Invite your family and friends to join. Register now!